PUEBLO, Colo. -- On Feb. 22-23, the PBR goes Hollywood as Iron Cowboy, presented by Ariat, makes its debut at the STAPLES Center in Los Angeles. With celebrity appearances of both the human and bovine variety – fans will have the opportunity to snap a photo with three-time World Champion Bull Bushwacker – the best bull riders in the world will compete at the PBR Major with 1,250 points towards the world standings on the line and $100,000. 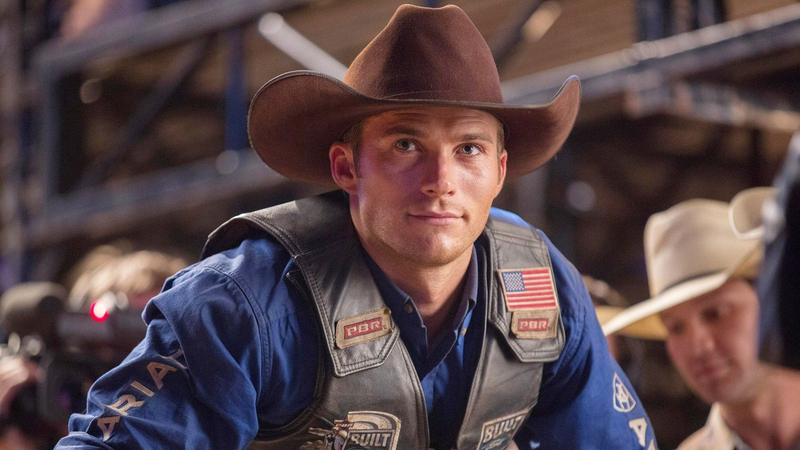 While the PBR may be making its Hollywood debut, the Western world is no stranger to the silver screen. Here are five cowboy flicks to add to your “must watch” list. Grab some popcorn, get ready for the glitz and glamour of Hollywood and don’t forget to tune into Iron Cowboy: Feb. 22 at 10:30 p.m. ET on RidePass, Feb. 23 at 10:30 p.m. ET on CBS Sports Network and Feb. 24 at noon ET on CBS. And if you can’t wait until then, you can watch the Mason Lowe Memorial this weekend on RidePass (Friday at 8:30 p.m. ET), CBS Sports Network (Saturday at 9 p.m. ET) and CBS national television (Sunday at noon ET). An American Civil War veteran embarks on a journey to rescue his niece from the Comanches. Starring John Wayne, Jeffrey Hunter and Vera Miles. Three actors accept an invitation to a Mexican village to perform their onscreen bandit fighter roles, unaware that it is the real thing. Starring Steve Martin, Chevy Chase and Martin Short. A successful lawman's plans to retire anonymously in Tombstone, Arizona, are disrupted by the kind of outlaws he was famous for eliminating. Starring Kurt Russell, Val Kilmer and Sam Elliott. A group of young gunmen, led by Billy the Kid, become deputies to avenge the murder of the rancher who became their benefactor. But when Billy takes their authority too far, they become the hunted. Starring Emilio Estevez, Kiefer Sutherland, Charlie Sheen and Lou Diamond Phillips. The lives of a young couple intertwine with a much older man, as he reflects back on a past love. Starring Scott Eastwood, Britt Robertson and Alan Alda. Bud is a young man from the country who learns about life and love in a Houston bar. Starring John Travolta, Debra Winger and Scott Glenn. A stubborn teenager enlists the help of a tough U.S. Marshal to track down her father's murderer. Starring Jeff Bridges, Matt Damon, Hailee Steinfeld and Josh Brolin. Also check out the original (1969) starring John Wayne, Kim Darby and Glen Campbell. A divorced father and his ex-con older brother resort to a desperate scheme in order to save their family's ranch in West Texas. Starring Chris Pine, Jeff Bridges and Ben Foster. A Missouri farmer joins a Confederate guerrilla unit and winds up on the run from the Union soldiers who murdered his family. Starring Clint Eastwood, Sondra Locke and Chief Dan George.